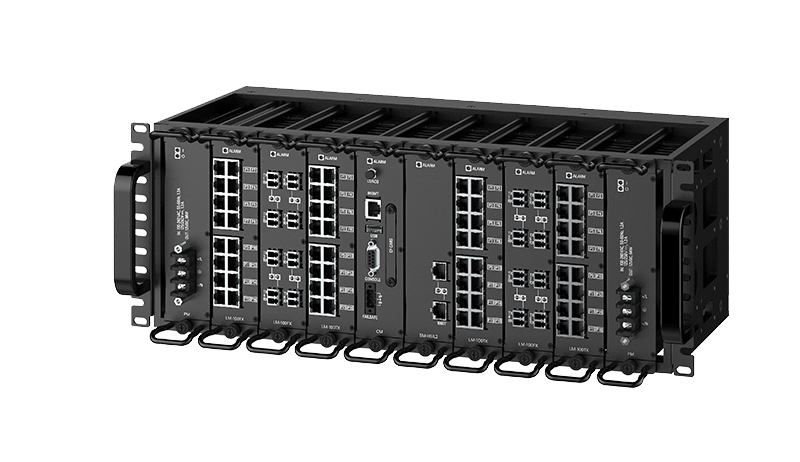 The RUGGEDCOM RX5000 is a high density integrated Ethernet switch and router platform designed to operate in harsh environments. such as high levels of electromagnetic interference, radio frequency interference,. This platform is designed to meet the challenging climatic and environmental demands found in utility, industrial, and military network applications.